This guide will address establishing a remote connection with a mobile operator, create a data collecting RapidSMS application, and everything in between – specifically using the Kannel SMS gateway. -IPSec VPN, as their means of communicating with a mobile operator (SMS Center). -Kannel, as the SMS Gateway which talks to the SMS Center, relaying messages via HTTP requests. -RapidSMS, as their choice of data-collection and communication tool. This guide is aimed at demystifying any confusion that may occur in an otherwise obscure and arcane world of SMS. I will use my very own examples and clarify version numbers to show what works. I am using the Debian 6.0 “Squeeze” release. We will begin by establishing a Virtual Private Network as the very first step – without it, no data would be able to get in or out from the SMS Center. At this point, you should have already made arrangements with at least one mobile operator to establish a VPN with their SMS Center. Additionally, they should have provided you with a list of parameters necessary for the connection, these include authentication methods, source IP addresses, ports, keys, and much more. This guide will be focusing on establishing an IPSec VPN – solely because of the specific parameters given by my mobile operator. To establish security associations with the host (SMS Center), we will use racoon, an ISAKMP daemon – as it compliments the IKE and IPSec parameters given to me. During setup, I recommend using direct configuration mode. Along with racoon, the package also contains control tools and kernel SPD & SAD manipulation tools which we will discuss later. Finally, using the racoon control tool, racoonctl, we can connect to the VPN. 1. An agreement with the operator to establish a VPN, along with parameters. 2. A properly configured VPN client. 2. Update security associations (setkey). 5. Run racoon control tool (VPN connect). 6. Add to routing table. After the VPN has been established, we can now begin installing Kannel. Kannel acts as a gateway between the connected SMS Center and you – essentially sending and receiving SMS’. The following can be used to properly configure Kannel, but I will specifically outline the noteworthy Kannel ‘groups’. Please read the variables carefully and know when they are necessary. The next group is core. This group is absolutely necessary for proper functionality as it contains the most general configuration for bearerbox. Note that the admin-port and admin-password may be arbitrary as they are only used to execute various administration commands. Core also handles what machines can and can’t send SMS via HTTP. With this URL, you are sending “sometext” to mobile # 12345678 from 7777 via user (Note that in some countries, such as the U.S., the from parameter is only limited to the phone # assigned to you by the operator and cannot be altered. Finally, the last group that’s of importance is sms-service. This group is in charge of handling incoming SMS. The main idea here is the get-url. This simply calls the specified URL whenever a message is received from the SMS Center. i.e. : If mobile # 12345678 sends “hello” to 7777 (your assigned #), the URL, “http://127.0.0.1:8000/router/receive?backend=operatorX&sender=12345678&message=hello” will be called automatically. get-url :: The url can include a list of parameters, which are parsed before the url is fetched. This calls the URL and GET’s the content and replies to the sender with that content. post-url :: As above, but request is done as POST, not GET. “127.0.0.1:8000/router/receive” is simply a RapidSMS httprouter instance that we will create in the next step that handles incoming SMS. 2. Configure group: core – general bearerbox configuration and allow/deny IP. 3. Configure group: smsc – handles connection with the SMS Center. 4. Configure group: smsbox & sendsms-user – handles outgoing SMS. 5. Configure group: sms-service – handles incoming SMS by calling URL. Now we simply run bearerbox first and then smsbox. Bearerbox handles the connections with the SMS Center. Smsbox provides an http service to send the SMS through the bearerbox. Open up another terminal and run smsbox while bearerbox is running in the foreground for best monitoring. And the recipient should also have received the message. We will now begin installing RapidSMS and create an application that will record first and last names sent via SMS into a MySQL database. Let’s first setup a virtual environment running Python 2.7. Then we can install RapidSMS along with rapidsms-httprouter, which allows for the RapidSMS ‘routing’ process to be done in the HTTP thread. Note that solely installing rapidsms-httprouter 0.5.1 will also install the correct version of RapidSMS, 0.9.6a. Once again, be sure to work in your virtual environment, then setup a RapidSMS project. This tells the RapidSMS project to allow the native httprouter app to handle URL schemes, specifically the URL that will be called by Kannel whenever incoming messages arrive. Httprouter will then route to other apps to handle that URL. We will now move on to build a custom RapidSMS app that will simply register a person into our MySQL database and send a response SMS letting them know that they are successfully registered. Syncdb will synchronize and update the table structures – both RapidSMS’ and its corresponding apps. Before we move on to the next step, let us check if we are able to get RapidSMS up and running standalone. Navigate to your project’s directory and start the router and server simultaneously in different terminals. The router is the main component of RapidSMS – its process will start all the configured backends and apps. The server is simply the webserver. If there you experience no errors from the last three commands, we are ready to create our app. This will create the foundation for a new application. Keep in mind that we have already configured Kannel to call the proper URL to integrate with rapidsms_httprouter. So, we have to create a table that will store this information. models.py – “Your Django models are defined in this file. We’ll be using this file to define the model structure for persisting data in the database.” models.py will be taking care of the database structure. Navigate to your app’s directory and open ‘app.py’ – This file is where your application logic is stored, as described here. Below is my version of the app. #regular expression operations: "register string string"
Save your app and start the server. 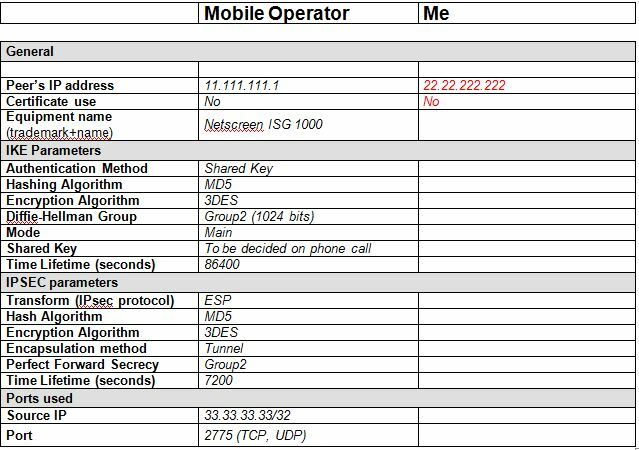 While closely monitoring all terminals, try and send a message from a cellphone or via URL. If it failed to respond after you sent the message, check all terminals and see where it went wrong, otherwise congratulations! After calling a URL and you receive: Queued for later delivery: Problem with bearerbox or smsbox – If you have configured Kannel properly, kill both processes and retry and check to make sure VPN tunnel is up. After calling a URL and you receive: Accepted for delivery but you did not receive the message: Check the URL encoding, some international numbers require ‘+’ before the number. ‘+’ is encoded: ‘%2B’, append it before the ‘to’ parameter. Receive message: “Could not fetch content, sorry.” Check if Kannel sms-service group is properly configured or if your app is properly parsing then responding a request and the response is shorter than 140 characters. Receive message: “Request failed.” Check if Kannel sms-service group is properly configured or if your app is properly parsing then responding a request. In conclusion, we have established a VPN with a mobile-operator’s SMS Center, configured Kannel to send and receive messages to and from the SMS Center as well as RapidSMS, have setup a RapidSMS project with an app, and installed rapidsms_httprouter to route messages to and from the RapidSMS app in the HTTP thread.